Half-day tours available all year round. Availability depends on the Owner Operators other job roster. I update the booking calendar as soon as the roster for the next eight weeks is released. I appreciate that some people like to book months in advance, I apologise if my schedule does not show any availability during your visit to Darwin. Please check about 2 weeks prior to your trip as my availability should be updated by that time. Failing that please feel free to contact me and I will see what I can do. 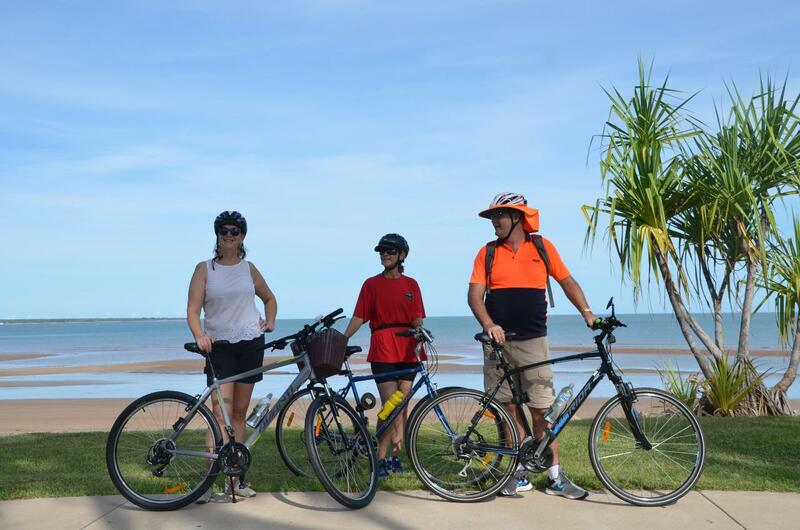 This tour is a great way to get an overview of Darwin, see the highlights and get some local advice on places to eat and visit. The main feature of this tour is an overview of the sights, history and culture of Darwin. Tour finishes at 11.30pm back at the start point. Bookings are essential. Note: It may be possible to start your tour from your hotel if you are the only booking – with prior arrangement – please message or call to discuss 0487 453 488. Saturday morning. tours usually include a visit the Parap Village Markets where you can sample tropical fruits, drink excellent coffee or experience an award winning Laksa if you want to.